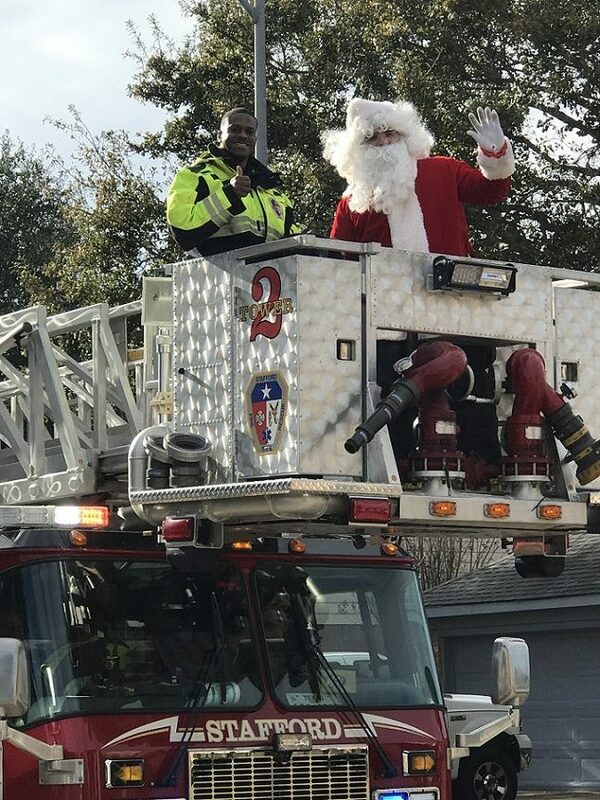 This afternoon the department assisted Santa Claus with a recon mission of the city in preparation for Christmas Eve. Going to the subdivisions of the city and dispensing candy canes as he went, Santa assured us he has a good lay of the land now and will be back tomorrow night. 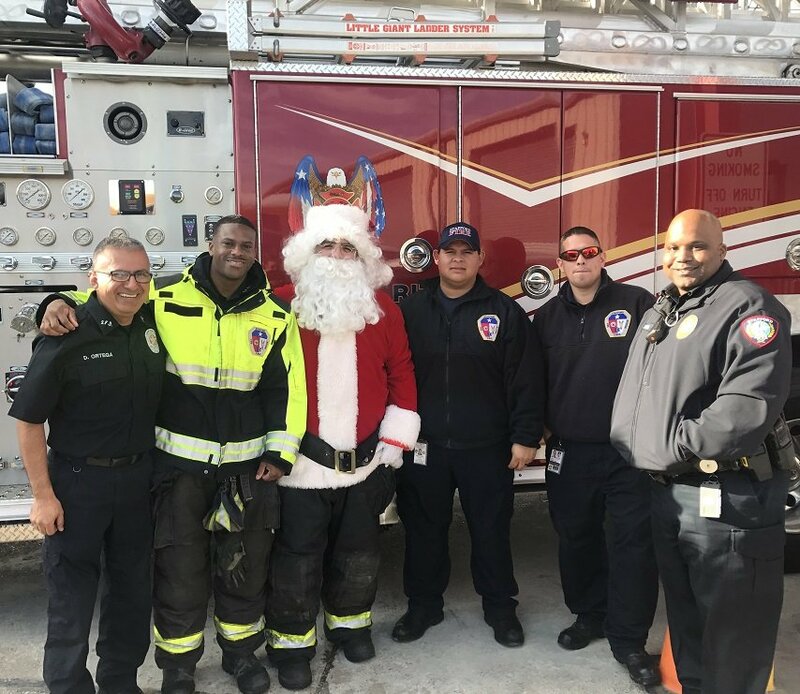 Many thanks to the personnel who helped Santa Claus out. Captain Magana, Fire Fighters Gutierrez, Ortega, Davis, Palous and SPD Officer Tyler.